A man who reportedly squandered his elder brother’s money has dropped a suicide note with his friend in Umuahia area of Abia state. Here is an appeal message his friend sent to NG this afternoon. “God evening my friend and family. The situation of our country is not favourable any more. I sincerely apologise to the public, my friends, may family over the in ability to live up to their expectation I am so sorry. I spent 3.6million Naira given to me by my brother in China to deposit for him thinking I will make it up before his coming home. I was just surprise to receive a call from him saying he is coming back on 2-04-2017. I can’t withstand his action, he might kill me when he comes back. I am heading to head bridge onitsha to meet my God but I find the world as a better place to live. Some one please turn my life around in any way you can pls. Why did you spend your brothers money? Do you know the suffering your brother has gone through in China to achieve that money very bad. Give back all his balance you have not spent all of that money or give him the car house you built for yourself with that money. May God forgive you. How will he not kill you for money he sent for you to put in his account. What of if he had died on the process of achieving this money. You family members are very wicket and ungrateful to your families overseas. That is why many overseas Africans have failed to trust you people. I have told my children never ever to even take any of you to live with them because of these your evil ways. Ole thief jaguda barawu Onye oshi. Warisdis? Thief die and let there b peace! Lobatan. You don chop your brother money for free and now you want chop good hearted people’s money for free! Mchweeeeeew !!! WHICH ACCT ARE WE FIXING THE EGO ? D DEAD-BODY ACCT OR D EXPECTANT BRO FROM CHINA ? 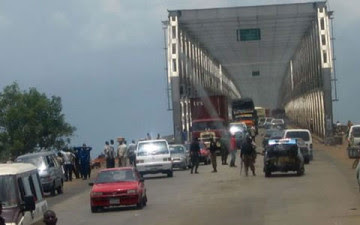 INSTEAD OF U TO DRINK SNIPER , YOU,RE GOING TO ONITSHA BRIDGE WEY D WHOLE BIAFRA GO PREVENT YOU FROM DIEING . YOU ARE JUST AN ESAU TOUR BRO – DESTINY THIEF !!! People who commented here are really funny, but this is a very serious matter. The question here, is this guy really saying the truth? If this happens to be a trick or new format,sorry guy…Nigerians never recover from MMM yet and recession still in place, but if you are saying the truth,trust me,your brother will not kill you and God will pay him back through one way or another.If you kill yourself,that’s another expenses you’re heaping on his head. YOU guys are very funny with your comment, don’t kill me with laughter.